The hit series from Charles Soule (Poe Dameron, Daredevil) and Alberto Jiménez Alberquerque (Mystery Girl) is now available for just $10! Newly-elected president Stephen Blades hoped to tackle the most critical issues facing the nation: war, the economy, and a failing health care system. But in a letter penned by the outgoing president, Blades learns the truth that redefines 'critical': seven years ago, NASA discovered alien presence in the asteroid belt, and kept it a secret from the world. 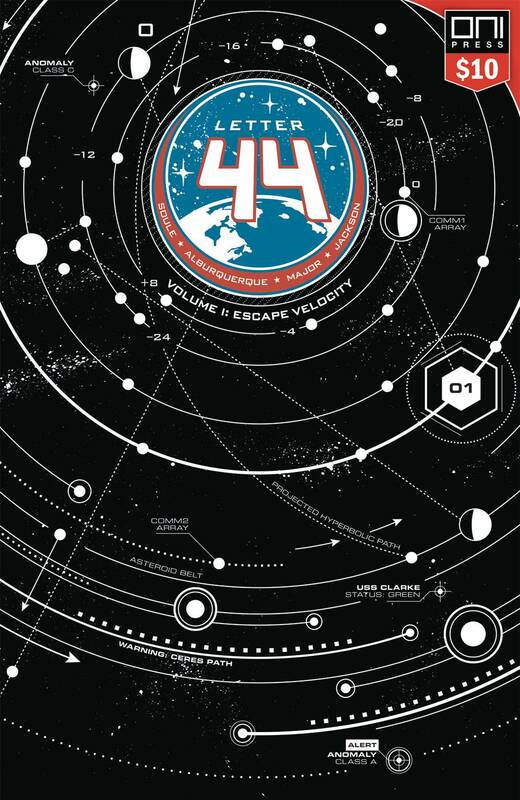 A stealth mission crewed by nine astronauts was sent to make contact, and they're getting close-assuming they survive the long journey to reach their destination. President Blades has just become the most powerful man on the planet. This planet.